The hot weather these past few days rekindled memories of a period in my life when I had to live under a similar hot climate. That would be our first summer in Wyoming’s Heart Mountain Relocation Center. To begin with, since we weren’t allowed to take a lot of personal goods with us when we were ordered to the camp, most of us didn’t have all the clothing we needed to face the new climate, and it got worse when winter hit the camp. Since all of us were from California, we weren’t prepared for the cold winter weather in Wyoming clothes-wise, so we had to get warm clothing from mail-order. In most cases, the Sear’s catalog. Somehow we managed to adjust to the weather, but even after all these years, I still recall how tough life was both in the heat of summer and the cold of winter. When I go outside during this period of heat, my memories of camp life are rekindled. Things Japanese always catch my eye. For example, what does the average Japanese in Japan have for breakfast, lunch and dinner? I was surprised by a story I read the other day on the diet of the average Japanese. Most of us assume that rice is the main course for lunch or dinner. However, what goes with the bowl of gohan? According to the latest statistics, the average Japanese consumes 320 eggs yearly, which probably means at least one egg every day. That’s a lot of “tamago.” Probably more than what the average American consumes. It is said that Americans consume 250 eggs per year or about a hundred less than the Japanese. Since most American breakfasts include eggs, I find this kind of hard to figure out. While touching on Japan, I found the article on toilet paper kind of interesting. It’s a message the Japanese government began delivering this week. The people of Japan are told not to wait until it’s too late to think about stockpiling toilet paper. Officials said people only think of food and water as emergency supplies, but if they forget toilet paper, they get desperate when it’s too late. After running out of toilet paper, people start using regular paper, which could clog up working toilets. As part of the campaign, makers are offering tightly coiled 490-foot-long, single-layer toilet paper that lasts more than twice as long as regular rolls. A family of four is able to survive for a month on the supply. The government warned of a nationwide toilet paper shortage if disaster strikes, so those planning trips to Japan might keep the foregoing in mind before departing on their voyage. Yes, I know I touch on it frequently, but I really need to change my computer. The darn one I’m writing my column on is just falling apart. I called my computer-expert son and he said the same thing. By the way, can you loan me few nickels? Yeah, everyone knows I’m a Vegas pinball machine player. So, when I was living in Japan and pachinko parlors began to pop up throughout the country, I was hooked on the machines and so were the Japanese. However, for one reason or another, the popularity of pachinko began to fade a few years ago. One pachinko hall after another began closing. 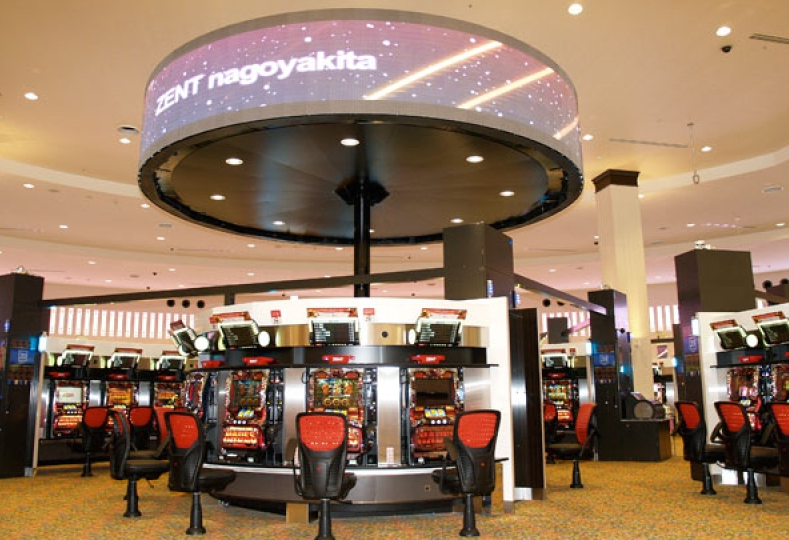 Pachinko is beginning to make a comeback with new halls that are bigger and more luxurious and appealing to customers, mainly younger Japanese who grew up playing video and computer games. Like Las Vegas, the pachinko parlors in Japan are making their operations more family-friendly by driving out the “yakuza” (gangsters). This is a photo of a typical pachinko parlor. Quite unlike Vegas slots, don’t you think? The biggest pachinko parlor in Japan is in Nagoya with more than 1,200 machines. Pachinko machines were originally simple mechanical devices, but now they are filled with flashy electronics to appeal to the digital-gaming generation. Would you believe about one-fifth of the pachinko machine patrons are women? However, most of the women are older, about twice the age of the younger players. Watch out, Vegas, here we come. Gee, it’s almost the start of the 2014 baseball season and as with other JA baseball fans, I’m looking for new players from Japan being signed by the big-league clubs. So far only one new name has popped up. An infielder named Hiroyuki Nakajima, signed by the Oakland A’s to a $6.5 million deal. However, injuries and disappointing performances in spring games have kept him in the minors. He spent most of last season with the Triple A Sacramento team. The 32-year-old is currently batting .280 and playing second base while occasionally being used as a designated hitter. However, it is not expected that he will be called up to the majors this month. He may return to Japan and sign with the Seibu Lions, where he spent his entire career and helped them win the Japan Series. The San Francisco Giants are interested in signing him when he becomes a free agent. Yes, Santa Anita Race Track in Arcadia is as famous in horse racing as it can get. 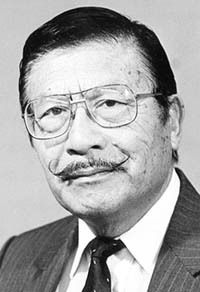 To me and many Nisei, it is also the “assembly center” that we were tossed into at the start of World War II. The City of Arcadia is turning one of its streets into the Thoroughbred Walk of Champions. The walk will consist of 67 bronze sidewalk plaques, each honoring racing personalities, both human and equine. The plaque will start at the corner of Huntington Drive and First Avenue. I’m sure somewhere along the way a mention will be made of the famed track having been used to detain Japanese Americans, because the assembly center, as it was called, is part of Santa Anita’s history. For now, they have a statue next to the grandstand that tells of the Japanese Americans’ imprisonment at the track. The ceremony for the Thoroughbred Walk of Champions will be Saturday, Sept. 27, at 5 p.m. The public is invited. One of the famous Strip casinos/hotels, which was shut down, is now reopening and some of you JAs might want to visit the place. It’s the storied Sahara Hotel/Casino, which closed in 2011 due to failing business but is now reopening with dreams of restoring the facility to its former glory. One of the features will be its Asian-themed resort. That should attract a lot of Japanese business, including JAs. The hotel/casino that once hosted Frank Sinatra, Dean Martin and the Beatles will open with a glare of fireworks. Well, maybe if I can get to Vegas, I’ll drop in and write my opinion on the new place. You never know. Vegas is full of surprises. I can’t even get my usual laugher with which to end today’s chatter. Hopefully, one of my sons will drop by before next week. In the meanwhile, I hope the bigger white space in today’s column isn’t that upsetting.